This is what makes North really unique as far as housing and community. We run the range of the old grand upper middle and middle class (the workers were more over in NE) Victorian homes to the bungalows and arts and craft periods. Or maybe I'm looking into too much on a day off, and thinking about it too much after meeting with some non profit housing partners that I will work with through HNC. So I read something sad today in the news about North. Not sure why that's a big deal, as the building more than likely needs the help anyway but that's not the sad part. The article mentions a lady who was shouted over for speaking in favor of the council and police, which shouldn't happen, we all need to be able to speak our voice. It also mentions a really scary quote from a lady who should be more responsible: "And the only reason this city didn't burn to the ground is because of that occupation outside of the fourth precinct," said Nekima Levy-Pounds - Minneapolis NAACP President. We're doing great things in North and there are issues that need to be addressed with the police, but I'm sorry, riots have no place in any discourse. 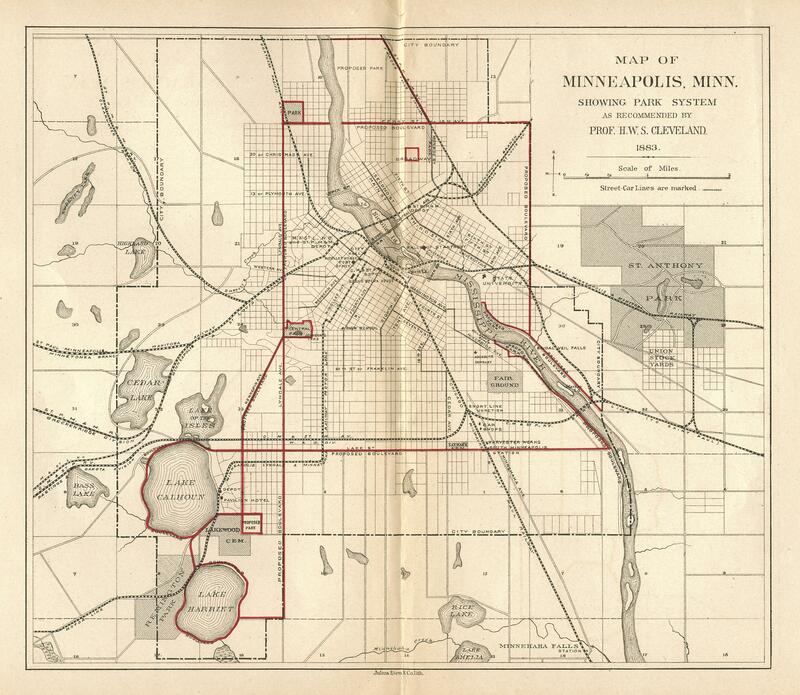 Also I have to disagree with the claim to ownership over North, or at least parts of it. It hasn't always been historically black, and in fact as a white with Western European descent I have as much claim to parts of it as the African American community. We're all in this together, we're all stewards of the community, and we need to take the best care we can of it while it's in our care. Then I'm not sure what this refers to: "White people need to acknowledge their position of privilege and step back to allow the people of that community to speak for themselves. They're quite capable of doing that. They're capable of policing their own neighborhood," Gillette West said." Anyway, I hope we're not as close to riots as it seems and I hope that leaders settle down and don't let things come to riots, it wouldn't be good for anyone. In this news article about the current protests I saw a comment about the (eventual) shooters being confronted about taking video of the sit in. This post isn't in any way meant to condone what happened last night, or explain why things went the way they did, only to comment on the photo and video statement made in the article. 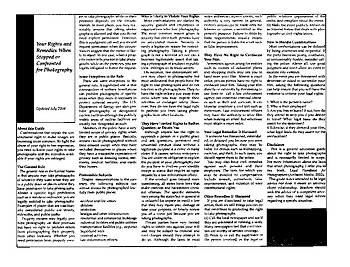 As a photographer myself I'm worried about this trend and would like to remind people that we have a right to video and photograph, for editorial (news) use, pretty much anything that happens in a public space. We don't really need to give a reason, explanation, or show images to anyone confronting us. This doesn’t mean we need to insight confrontation, or escalate the situation when asked about what we’re doing, but that we need to stand firm to a degree in defending our rights. Here is info on what is a pretty important meeting coming up. Although, if you're in Hawthorne I urge you first to come to our housing meeting at Farview Park at 7pm then jet out early to attend this. Also, one of our powers in the Housing Committee is to give advice to the city on these properties and if we suggest they take action to aquire them from the county. So not only is this important to know about as a resident, it's something we have a voice on at a local level. 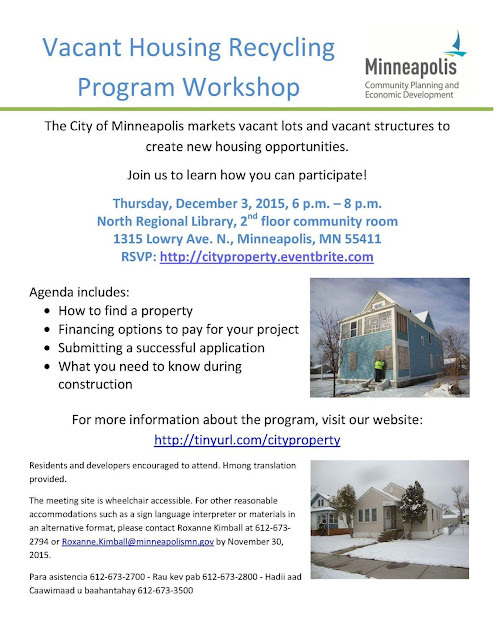 The City of Minneapolis markets vacant lots and vacant structures to create new housing opportunities. Join them to learn how you can participate. Learn how to search for property, get financing in place, submit a successful application and complete your housing project successfully. Residents and developers encouraged to attend. Hmong translation provided. 2nd Annual WINTER WARMTH COLLECTION! Join us in our mission to help keep children in need warm this winter by donating hats, scarves, gloves, mittens, and even winter coats. This event will be on a first-come, first-served basis. ALL ITEMS MUST BE NEW WITH THE TAGS ATTACHED PLEASE. December 12th, 2015, 11 to 2 p.m.
Drop off sites: October 1st through December 5th. Dear Friends of Harrison Neighborhood, Please join us for a fall experience in the park full of games, performances, art, and other neighborhood resources. The Brave New Workshop's holiday show is a cherished annual event for those most likely to wind up on the 'naughty' list. This year, we invite you to help us Make Christ-mas Great Again with "The Trump Who Stole Christmas"! "The Trump Who Stole Christmas" will feature BNW cast members Lauren Anderson, Bobby Gardner, Ryan Nelson, Tom Reed, and Taj Ruler. The show is directed by Caleb McEwen. Peter Guertin returns as music director, and Matthew Vichlach will provide technical direction. 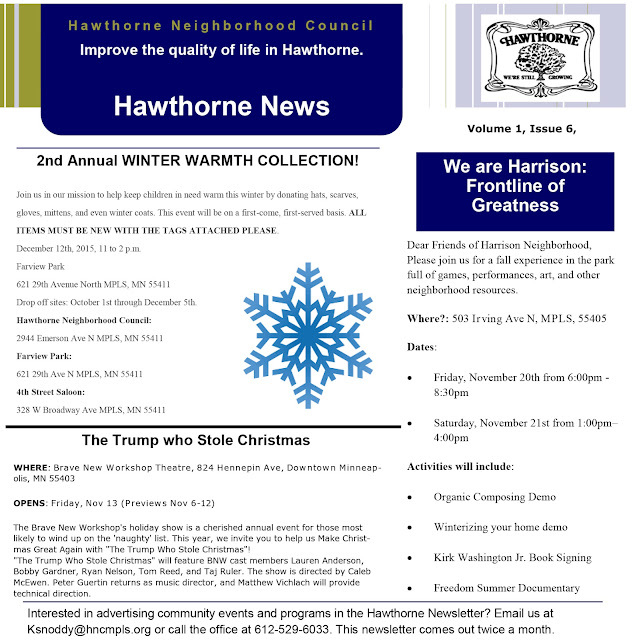 Interested in advertising community events and programs in the Hawthorne Newsletter? Email us at Ksnoddy@hncmpls.org or call the office at 612-529-6033. This newsletter comes out twice a month. There was a great article in the Star Tribune today about housing in North and the direction it should take. This is a great position to be in as now we're talking about the shape that North is going to take rather than if it can be saved or not or how to go about trying to save it. It offers us as residents a few choices, and going forward no matter how or what happens we're in this for the better. First off the city is finally paying attention to some of the red tape involved in buying or obtaining a forfeited house. In the past it wasn't a very (from what I'm told) straight forward process and/or it required a lot of capital and planning. So the people who bought these were mostly non-profits who could afford the planning and bonding, or larger corporations, and the odd home owner or not who had capital. Going forward some of this is being looked at to make it easier, maybe not for the every day home owner like myself, but maybe make it to a point where I could take less than $100k and turn one of these houses around. So no matter what happens to the above we're in a good spot, however according to a housing meeting a month ago the city has over or around 500 of these houses so the process may play out over the course of a long time. Another thing being looked at is the makeup of North and how it's going to change moving forward. The article points out a few differing opinions, and hints to a few different approaches. One of those is to keep North diverse and maybe more importantly and underlying keep North affordable. This is being talked about more by Blong. He has the position to keep North affordable, and keep it diverse, and to help lower income families afford housing. Then you have Barb who feels that we should maybe let the free market work a little more and let North become more economically diverse with the influx of what would be middle class home owners. 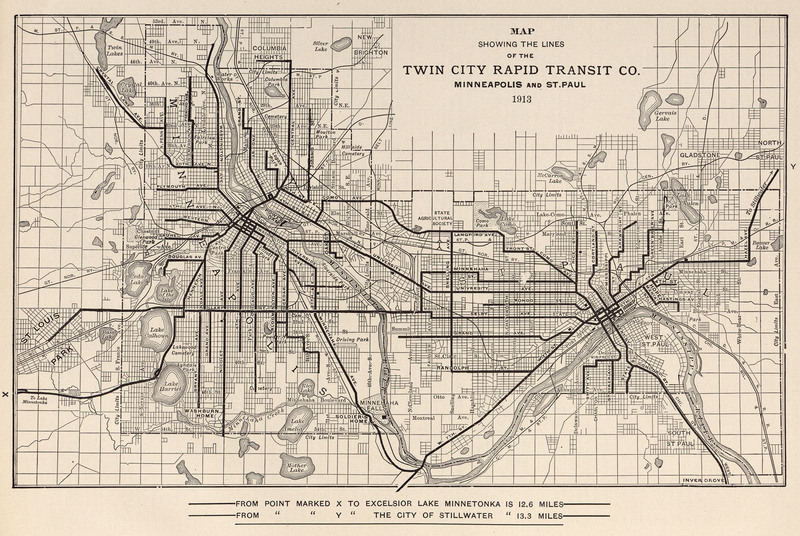 This would, over time, I personally feel, move values higher in North and restore it to what it was before everyone moved out of Minneapolis for the suburbs in the 50's and around that time. 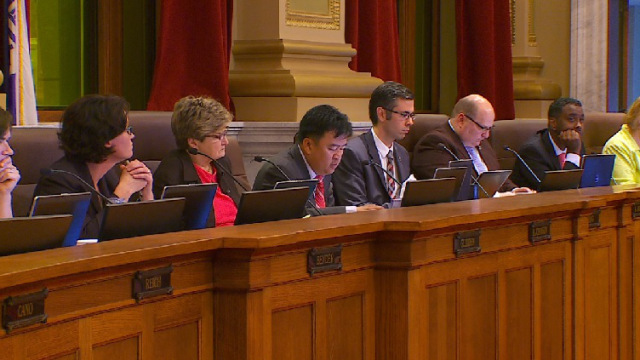 It also allows the city to potentially play a little different role in housing. Right now the general view at the community level is that the city has more control over who can buy tax forfeited housing. However, by having them do that there is more red tape involved and more frustration, but you get that extra control. Part of what I would like to move toward is letting some of these homes, and maybe as an experiment, go to county auction. This would open the door to potentially more and new interest and investment in these homes, provide less red tape, but we would lose some of that control over who could buy them. I'm for that, or at least for that as an experiment. The city did a great job over the course of the recession and now I believe the market is in a stronger position, and with a few recent changes to county auctions (owner occupied auctions rather than just anyone) allow for some of that extra city control that was enjoyed and welcomed, and in a way the reduction of red tape would allow existing immigrant groups and existing residents an easier path to invest in their community. That's a more conservative approach, but one that I feel would have the best impact to the area going forward and allow the most investment in North by private individuals. However, as I said before, we're in a great position and this discussion is nothing but good for North. I can't wait and see, either way, what the next 5 years are going to bring. Copyright Lyndale Ave North. Simple theme. Powered by Blogger.